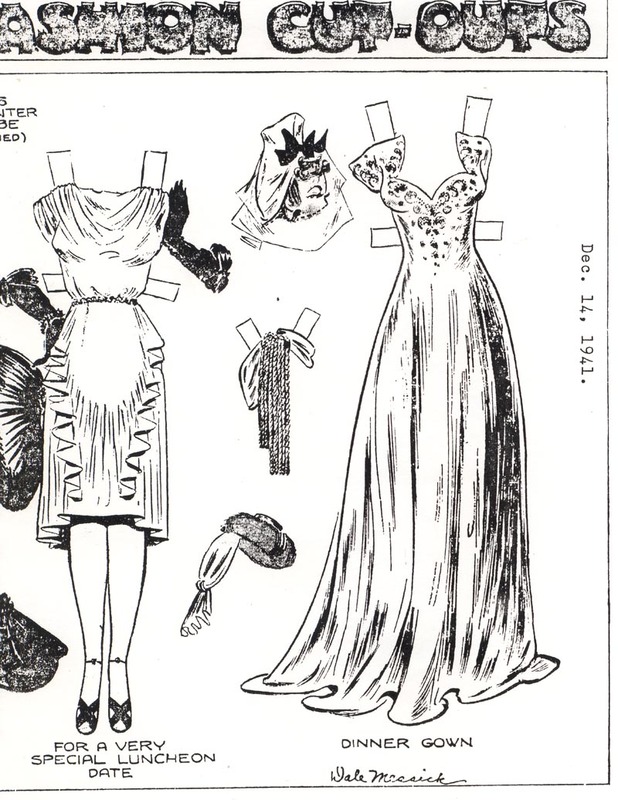 I spent all weekend trying to get this paper doll inserted into my blog. Tonight I opened the computer, c;licked on the paper doll and it went straight into the media gallery and then into my blog. NOW IF I ONLY COULD REMEMBER WHAT I DID. oH YES finally passed the first of three driving tests. Hope to do the other 2 this week so I can get my license back. Thank goodness for a wonderful landlady and a sweet young co- worker, they get me to and from work. Thank you both, I would be lost without you. 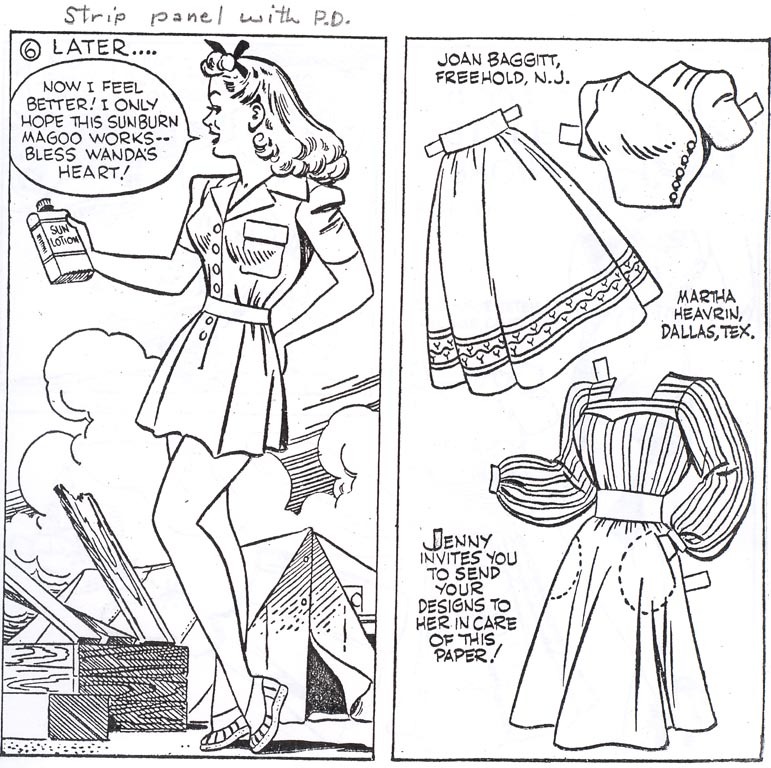 Thought it might be time to post another Brenda Starr for you all to color and cut. I like this one especially because it has her dog “Tornado” in it. 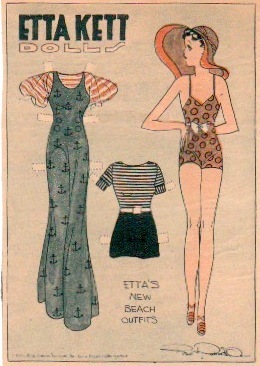 One of the attendees of the Paper doll Party last Saturday bought me a gift of some comic strip paper dolls. 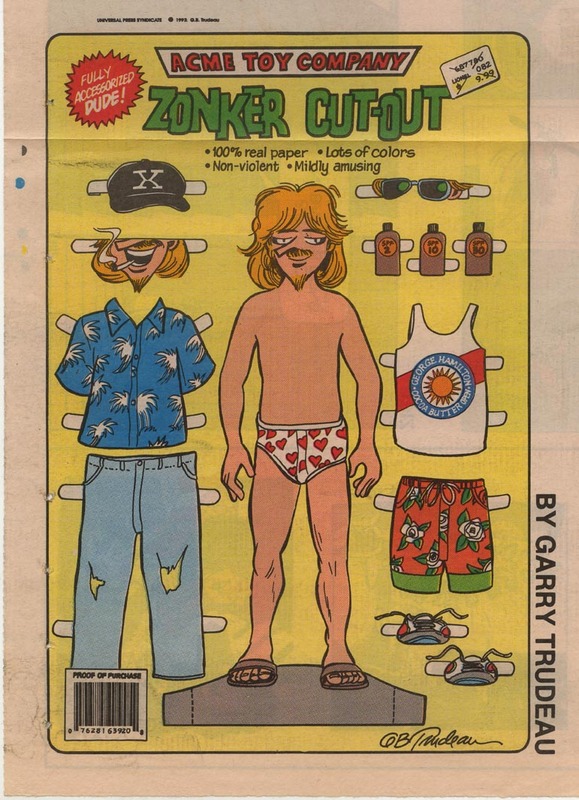 This one and one from the comic Gasoline Alley. This is from 12/20/1992. 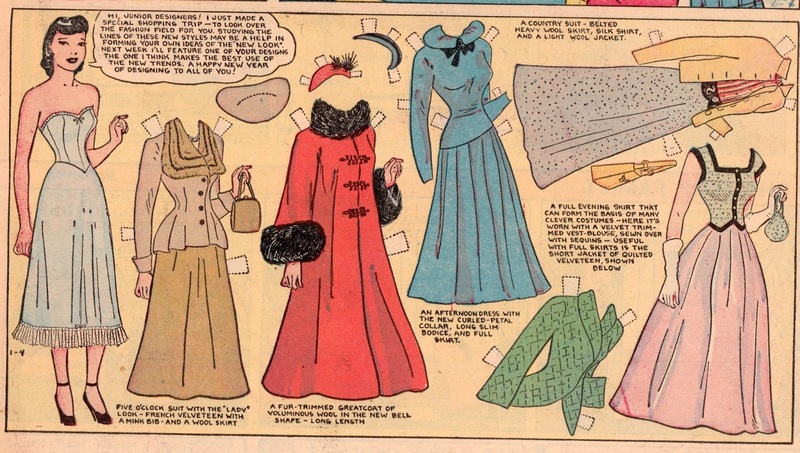 I love it when there are dates on the comics so I know when the paper doll was published. 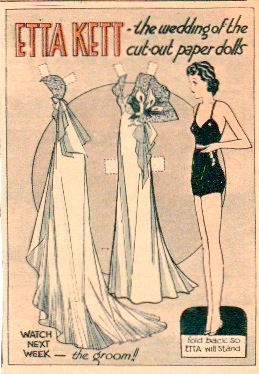 This is from a reprint book by Lorraine Burdick. This is one of my favorites. From the tent she must have just received a box from home. I like her pose, it is different than the usual one of facing front with both arms down at her sides. 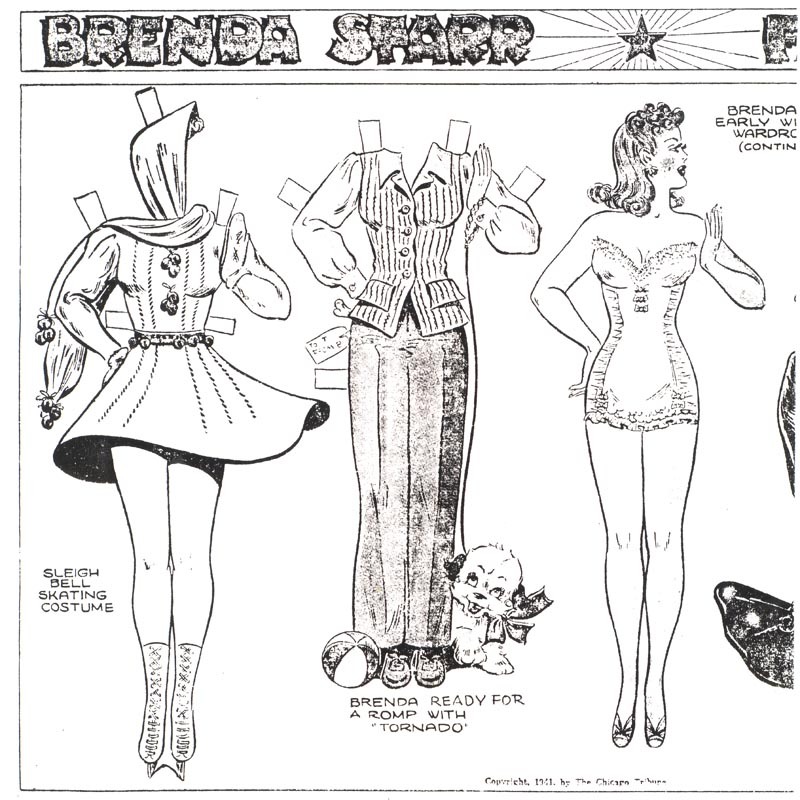 Have a couple of black and white Brenda Star paper dolls for you today. The first is Daphne takes a Beauty Nap. These were individual pieces pasted on one sheet upside down. Siberia, I think is a very cute girl, for those not in the know, she has light brown skin if you are coloring this. Glenn came with no name, but was submitted by Glenna, so I thought Glenn would be the perfect name. After all everyone needs a name. Should we match up Max since I posted him first, or Glenn since he was last to be posted. Let us know with a comment which girl from yesterday you matched up with which male.